Pupils in Year 11 and 12 recently took part in the UK Maths Trust Intermediate Challenge. Everyone performed very well with 10 Gold and 7 Bronze certificates being awarded. Special mention has to go to Lois McNiece, Year 12, who received best in school and Elizabeth Blackwood who was the top performer in Year 11. Six pupils also qualified for a further heat in the challenge: Lois McNiece, Leanne McNiece, Elizabeth Blackwood, Hannah Mitchell, Deborah King and Caroline McBride. Congratulations to Timothy Walker, Elizabeth Blackwood and Jodie Riddle who won £50, £30 and £20 respectively at the Newry & District Council Quiz on 23rd April 2013. All pupils who took part were a credit to Newtownhamilton High School. The Duke of Edinburgh's Award expeditions got underway again in the Mourne mountains on Thursday 25th April. 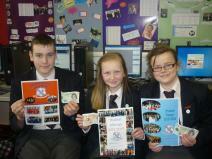 Pupils took part in the Bronze, Silver, and for the first time, Gold Awards. We wish all participants a successful and safe summer term 'in the hills'! Vice Principal Mr Megaw would like to thank everyone that generously donated to the REAP (Realise East African Potential) Non-Uniform Day. The £300 raised will go towards the construction of a new £35,000 classroom block at Ryamugwizi Primary School in Uganda. More information on project can be found by visiting the REAP website, facebook page or twitter account. 19/04/13 - What a Difference a Week Makes! Recent local and national press reports on GCSE examinations would suggest that a lot of work gets completed every week at Newtownhamilton High School. 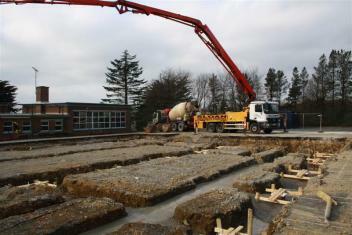 The same could be said for the contractors and sub-contractors currently involved in the construction of the new school canteen. 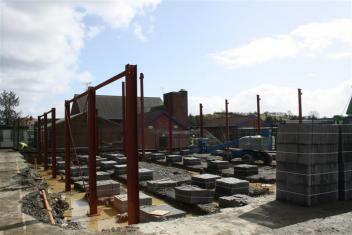 In the space of 5 days, the steel frame has been fully erected, secured and block work has started. What a transformation in a short space of time, but hardly surprising as the work has been completed by former Newtownhamilton High pupils Philip McMurdie and Alastair Courtney. Huge congratulations to Robert and Ruth Ferris who recently passed their Associated Board of the Royal Schools of Music exams. 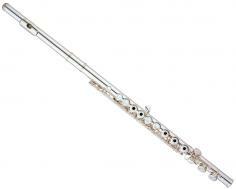 Robert (Year 10) achieved his Grade 3 Flute, while his sister Ruth (Year 8) achieved her Grade 4 Clarinet. What a musical family! Both pupils have made fantastic progress on their instruments, demonstrating their tremendous talents and genuine musicianship on their respective instruments. Thanks also to their tutor Mr Jarleth Mulholand of the SELB Music Service. Miss Graham commented, “Well done to both Robert and Ruth who have shown such commitment to their lessons and home practice. The Ferris household must be noisy at times! Robert and Ruth have reaped the benefits of their dedication and should be so encouraged to continue with their music". Miss Graham continued "Our pupils at Newtownhamilton High School are so fortunate to have such quality music lessons provided by the SELB Music Service, and we are delighted that our lesson time continues to increase each year. 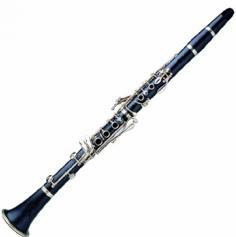 We now have upper string, woodwind and guitar lessons, with a range of styles being covered to suit all tastes. 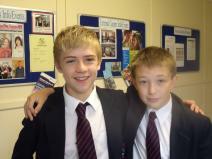 Pupils speak very highly about their tutors and obviously enjoy their lessons immensely. Well done to all the pupils this year who continue to work hard!" "Every Child an Important Child"
Year 9 ICT Competition - To design the cover for the School Year Planner for 2013/2014 using Photoshop. Derek has judged each of the entries and has selected the winning entry. Congratulations to all participants - high standard of work produced. 15/04/13 - David Defeats Goliath! The Under 15 Football Team has caused one of the biggest upsets ever in Mid-Ulster Schools' Football when they defeated Craigavon Senior High School 2-1 in a league game last Friday afternoon. Mr Black's team have been in fine form this year and entered their penultimate game as massive underdogs against a school that has over 300 pupils in a year group. However, despite the opponent's abundance of talent, it was the Newtown boys that emerged victorious following goals from Matthew Leyburn and Nathan Dodds. Mr Black commented "We may have a small panel of players to pick from but this creates a togetherness amongst the players - the boys deserve all the plaudits". Victory over Drumcree College in their final league game would see Newtownhamilton crowned as U15 league champions for the first time ever. Daryl Johnston (left) and Nathan Dodds played a key role for Newtownhamilton in their recent victory over the much fancied Craigavon Senior High School. Vice Principal Mr N Megaw delivered a presentation during morning assembly today about his proposed trip to Uganda in 2014. Mr Megaw explained that he is 1 of 17 local men travelling to Western Uganda next Easter as part of the REAP (Realise East African Potential) Project that is working under the guidance of local charity Fields of Life. The week-long aid mission is aimed at further supporting Fields of Life’s vitally important work. The project is aiming to finance the construction of a new £35,000 classroom block and a £3,600 well at Ryamugwizi Primary School in the western district of Ibanda. As well as fundraising to finance this work, the team are using their Easter holidays to complete the construction, oversee vital teacher training and a sports camp within this poverty-stricken community. In order to support Mr Megaw in this worthwhile project, Newtownhamilton High School will be having a Non-Uniform Day on Friday 19 April 2013 (donation of £1.50 would be greatly appreciated). Mr Megaw commented "We often take for granted how fortunate we are to have an abundance of food, access to clean water, vital medical supplies and a quality education system. The aim of our trip is to try and bring hope to those individuals that have little or nothing". 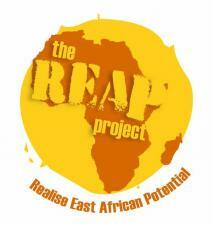 Further information on the REAP Project can be found on the REAP website, facebook page or twitter account. Alternatively, individuals or businesses looking to support this project are welcome to contact Mr Megaw (telephone 02830 878246 or by email on nmegaw549@c2kni.net). Recent publications on the performance of all post primary schools in Northern Ireland in relation to the percentage of Year 12 pupils in 2011/12 achieving their 5A*-C GCSE grades (including the all important GCSE English and Maths) has proved extremely favourable for the staff and pupils of Newtownhamilton High School. In recent years, Newtownhamilton High has consistently produced excellent examination results. For the record, 75% of pupils gained 5 GCSE grades at A*-C including GCSE English and Maths. This places the school as 1 of only 9 non-selective schools that outperformed the lowest achieving grammar school and thus also again provides the accolade of the top controlled non-selective school in Northern Ireland. Ashleigh Henry achieved an impressive 5 A* and 5 A grades during her time at Newtownhamilton High School. Further proof of success at Newtownhamilton High is the ‘Very Good’ Standard Inspection Report that was published by The Education & Training Inspectorate in June 2012. This document positively identified the many strengths within the school and concluded that "In the areas inspected, the quality of education provided by the school is very good". A full copy of the report can be viewed on the ETI website www.etini.gov.uk. 09/04/13 - Extreme Outdoor Pursuits at Killowen! Year 10 pupils braved the severe weather conditions, to attend the annual Killowen residential on Thursday 21st and Friday 22nd March 2013. Pupils were joined by their teacher Mrs Flanagan, Vice Principal Mr Megaw and classroom assistant Mrs McNiece. Pupils had the opportunity to better their team building skills by participating in a range of outdoor activities including bouldering, canoeing and the rope traverse. Even when an amber weather warning was issued early on Thursday afternoon, Year 10 pupils were not deterred and completed the entire programme against all the odds! Everyone who attended had a fantastic action-packed two days, heightened by the excellent guidance from the centre’s leaders and warm nutritious food supplied by the canteen staff at the centre also! I think both staff and students alike will fondly remember those enormous chocolate profiteroles! The residential, was again, another great success, and this is thanks to the excellent behaviour of our pupils and their willingness to work together and help each other out! A great team effort from all Year 10 Geography students! There will be a School Association Meeting on Thursday 11 April 2013 at 8pm (please note the later starting time). 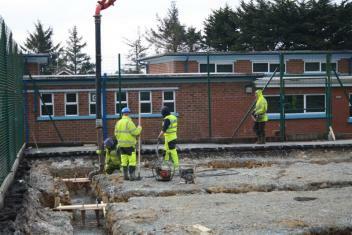 Construction work continues on the new canteen as Dixons Contractors (Dunloy) were today preparing the foundations. 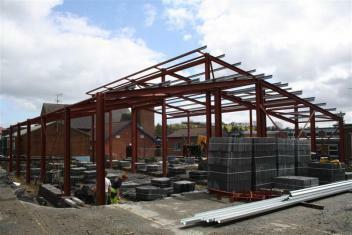 It is anticipated the new facility will be available from September 2013.